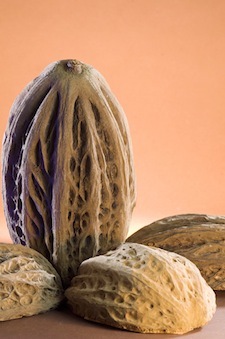 GEN’L CHARACTERISTICS: common names include cacao silvestre (or ‘wild’, such as it grows), balam-te’ (the jaguar tree because its dry pod surface resembles a jaguar’s pelt), & cacao blanco (for white are its seeds making it the most natural of “white chocolates”). 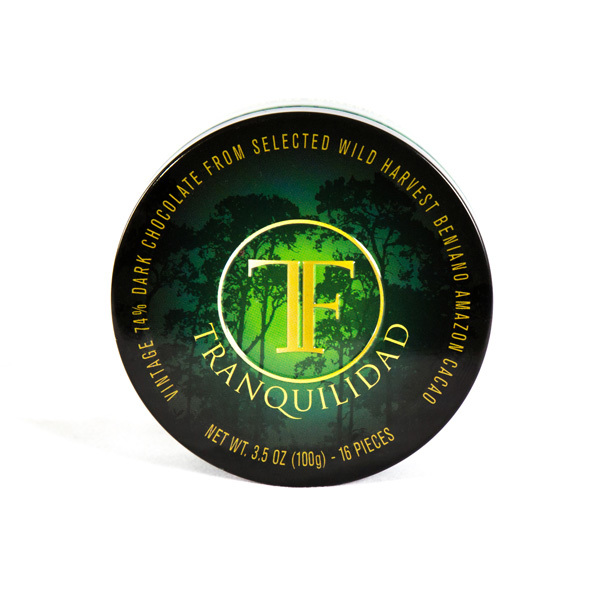 Pataxte (pa tash tee)… botanical name Theobroma bicolor designates its relation to cacáo in the Theobroma family. They are the only members of the genus Theobroma that contain caffeine. And like cacáo, bicolor held a special place in Mesoamerican civilizations, both in secular & sacred ways. Its enjoyment spans the millenniums. The pinolillo beverage made from bicolor’s pinkisk-orange pulp is still consumed in Nicaragua while traces of it have been found in vessels located at Tikal (Guatemala) beginning in the Early Classic Period (almost 2,000 years ago). 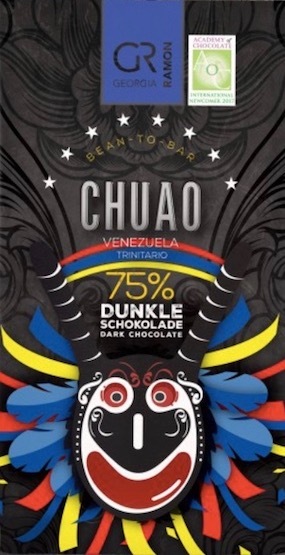 “… so they were happy over the provisions of the good mountain, filled with sweet things, thick with yellow corn, white corn, & thick with pataxte & cacao”. It gained acceptance to holy week celebrations thanks to its strong fragrance that provides an entrancing ritual adornment. Specifically, T. bicolor contains a good amount of volatile ethylene. 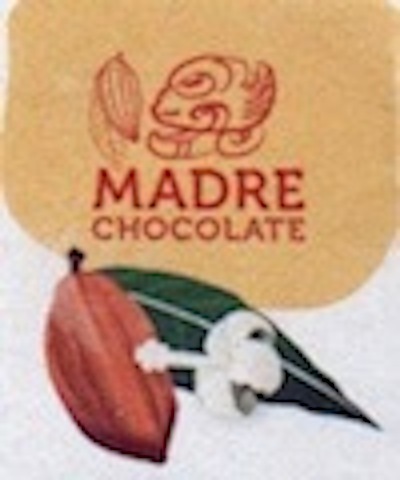 As Johanna Kufer & Cameron McNeil detail in Chocolate in Mesoamerica, T. bicolor (aka balamte) occupies a unique place in Mayan cosmology. It inhabits the first level of heaven. The very word balm means both jaguar & priest in certain Mayan dialects. Moreover, jaguars are associated with the night, caves, & the underworld; in other words, the same complex of symbols as cacáo. And as the strongest creature in the Mayan universe, jaguars represent the most powerful spirit companion. Because of its excruciatingly gentle flavor, the Q’eqchi’ Maya prefer T. bicolor over cacáo. Due to fewer alkaloids, however, T. bicolor lacks the stimulative effects that cacáo has on the CNS (Central Nervous System). 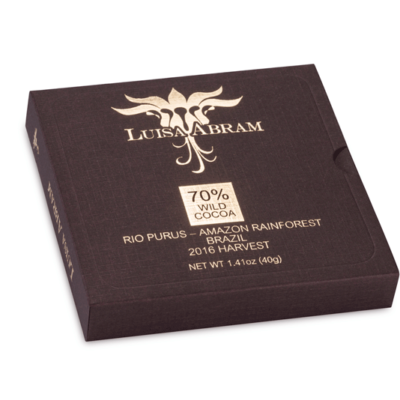 Indeed the quest of ancient Mesoamericans to domesticate ever more finer types of Criollo may stem from balancing this very equation of bio-chemical interactions between supremely supple flavor & retaining those physiological boosts.